The hospitality sector is the place where architectural signage truly comes to life. The impression guests receive when they first arrive at your hotel and step inside can make or break their experience and determine the success of your business. Architectural sign company Signbox lists the top ten architectural sign solutions for the hotel industry. The sky is the limit when it comes to exterior signage – projecting or post-mounted fabricated letter signs, with various finishes to complement your building and brand, high-elevated letters and LED illumination are just a few of options. Go for a bespoke architectural sign that will create a remarkable first impression. Powerful exterior wayfinding signage will welcome your guests and direct them within unfamiliar surroundings, informing them that they arrived at the correct destination. Signbox’s full range of exterior signage solutions includes directional signs, directory signs, landmark signs and entrance signs and, whether illuminated or otherwise, all are designed to be low maintenance, durable and complement their environment perfectly. Upon arrival your guests first interaction is at reception – an inviting lobby where the guests feel welcomed and a reception sign, designed on brand and manufactured to high standards will convince your guests that they will be well looked after. Use wayfinding signs to help your guests find what they need with ease, feeling safe, informed and engaged. From the elegant and easy to install off-the-shelf Signkit collection of signage components to bespoke architectural signs that are designed to inspire and captivate, Signbox pushes the boundaries of sign design and creativity. If you have meeting rooms you need appropriate signage to direct multiple users efficiently – take the signage to the next level and use a sign that shows the occupancy status. Signbox has an eye- catching solution for you – Project Lumos can incorporate an RGB switchable LED from red to green or white to signal that a room is ‘engaged’ or ‘vacant’. Glass manifestation is one of the best solutions for privacy, safety and branded visual impact. It’s mandatory to avoid accidents, but can also be a great way to enhance the environment using CAD cut designs or digitally printed graphics. If you have a meeting room with large windows, make sure they are part-covered to ensure privacy. 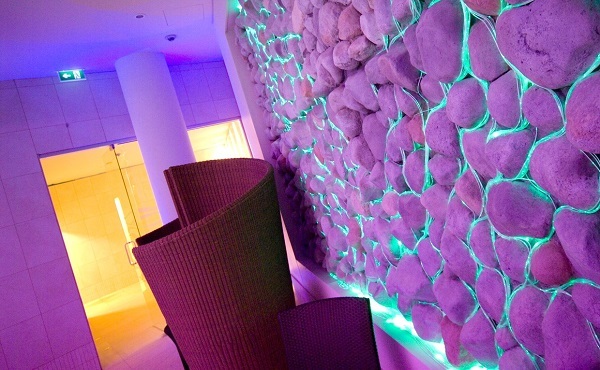 Vibrant environmental graphics will exude quality and deliver an amazing guest experience. 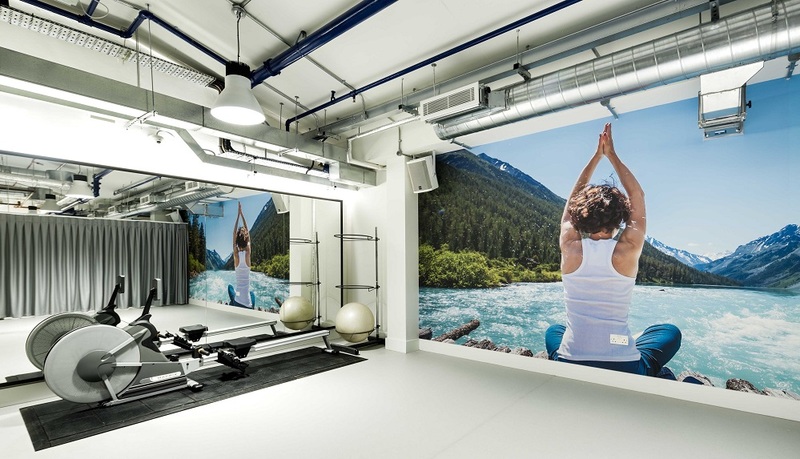 Digitally printed wallpaper also reveals your style – luxury, modern and contemporary, traditional or boutique hotel. The secret of an effective room identification signage scheme invariably lies in its simplicity. 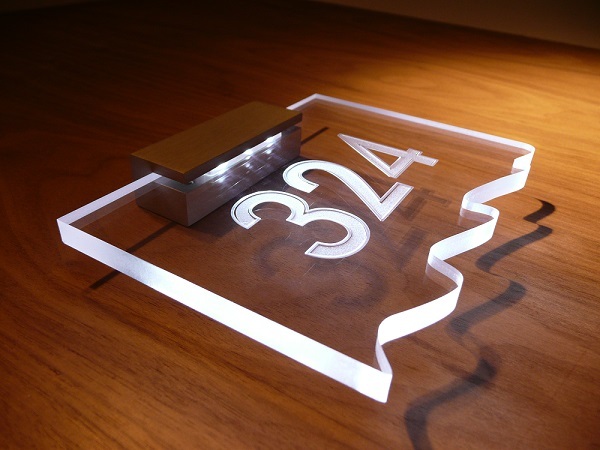 Signbox guestroom signs are manufactured using a wide range of materials, including timber, metals and contemporary glass/acrylic. They are designed to be elegant and beautiful, yet robust, tamper proof and low maintenance. Project Lumos signs are another sought after solution because they are attractive, colourful and visible in low lit corridors. Statutory signs such as safety, fire safety, hazard and warning signs are fundamental to the safety of your guests and employees. They should be located at strategic points and include prohibition, warning, fire action, mandatory and escape signage elements. Signbox designs and manufactures a range of high quality fire and safety signs that comply with all current regulations. There is no rule for all when it comes to wall art. Tell us what you want to display and we will translate your 2D vision into a 3D reality. We’ve spent 30 years conceiving remarkable signage solutions that have inspired, motivated and empowered our clients around the world. We put it down to an innate creative energy that our team embraces every day and channels it into iconic, intelligent sign schemes that bring buildings to life. Welcome to a world of signs to take your breath away.